Durable high quality artificial leather professional juggling balls ideal for kids and adults! Supreme feel and an absolute joy to juggle with! 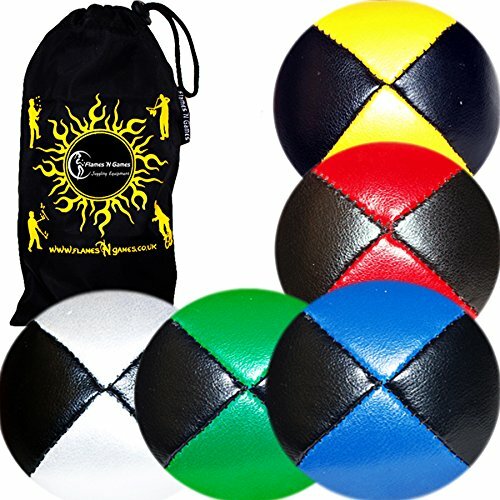 Great for multi ball juggling of 5+ balls. Deluxe Juggling Ball Spec: Weight: 90-100g (approx), Size: 62mm. To make this the perfect ball juggling set or gift set we have included a Flames 'N Games drawstring travel bag that will fit up to 6 balls.